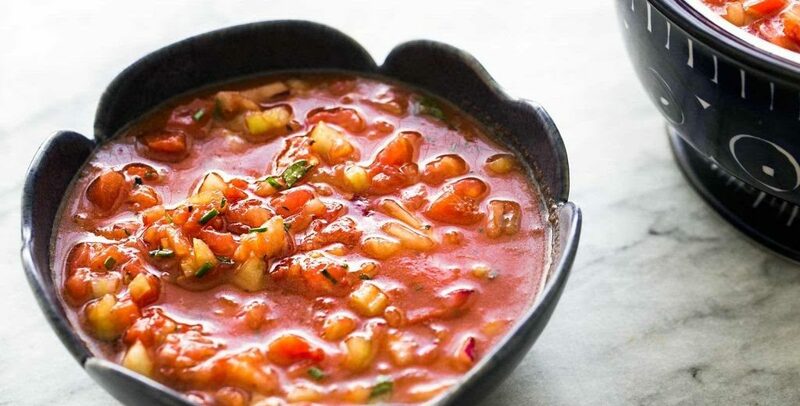 The perfect hot weather food….Gazpacho. it is a cold soup melded with the flavors of summer. It is fresh tomatoes, cucumbers, peppers, onion, garlic, and zucchini joined together and served with an herbed sour cream and 18 year Fiori balsamic drizzle. 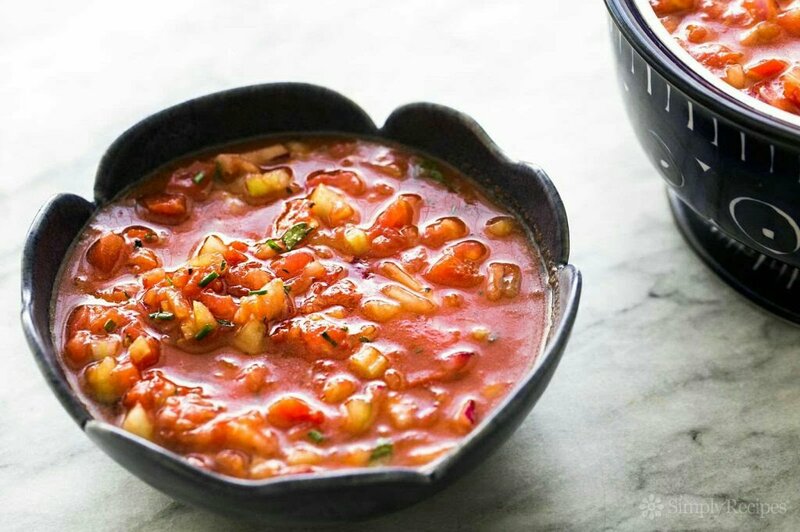 It is like eating fresh salsa with a spoon. Chef Dave and Chef Joe make it with the freshest ingredients for you to enjoy! We are open Saturday nights in July, come and enjoy! Call 207-992-4090 for reservations!